... as for us humans, the health of our horses is also very important. At the room inhalation the fine salt particles dispense - differently to conventional salt applications! As a natural and non-invasive therapy, the salt inhalations have barely side effects. 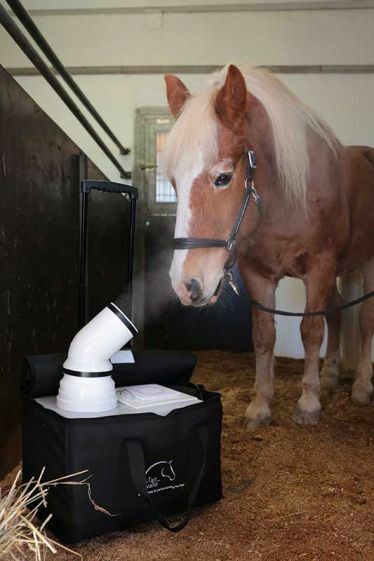 Also horses suffer more and more from the environmental pollution and in connection with a high ammonia concentration in the stable, this can lead to allergies especially at sensitive horses, which then strike at the respiratory tract. 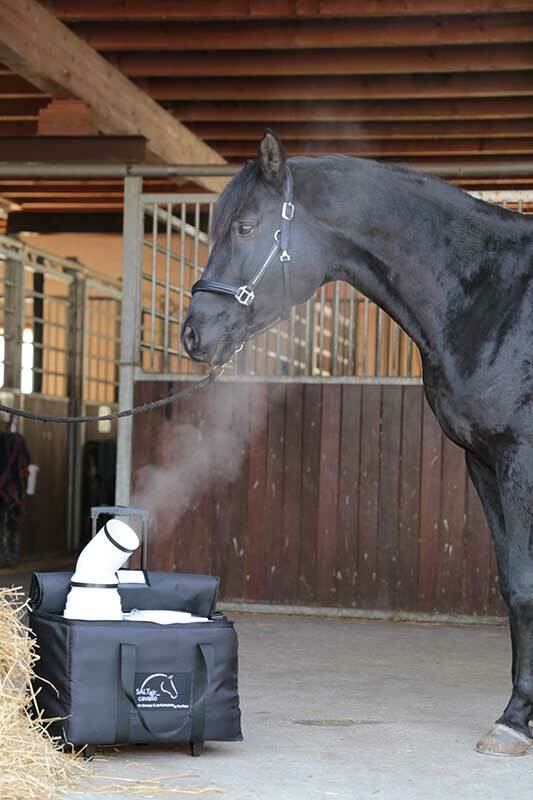 With the help of brine inhalation for horses, the airways are cleaned and they can breathe more easily again. Brine inhalation for animals is nothing new. Known procedures take place with a mouth mask. But to put a mask on animals is much more difficult than with humans. Also with humans many are thereby, which do not bear the mouth mask for inhaling, because they have the feeling to get no air. The medical effectiveness of brine inhalation is undisputed. When inhaling brine, the respiratory tract is moistened and the air organs are positively influenced. The fine salt spray cleanses the respiratory tract intensively of bacteria and causes the mucous membranes to swell. Inhalation has an overall anti-inflammatory, expectorant and ejaculatory effect and accelerates the healing of the mucous membranes of the respiratory tract - in chronic and specific diseases of the upper and lower respiratory tract.  A regularly applied brine nebulisation prevents respiratory diseases and also contributes to an increase in performance - SALTair_cavallo the "Fit maker". With coughing horses the brine therapy makes its effective contribution, by a regular application as preventive measure can be reduced in the long term also medicines with their undesirable side effects like e.g. cortisone. When breathing the fine salt particles spread over the entire respiratory system, from the nose to the sinuses, the pharynx to the outermost areas of the lungs and can have an expectorant effect.